Whether you’re looking for a city that welcomes you and your furry best friend, or you already live in the Mountlake Terrace area and want to start exploring, you’re in luck! The Mountlake Terrace area has some excellent amenities for dog owners and their canine companions to enjoy, all while getting some exercise and enjoying the outdoors! Recommended by REALTOR® Brian Hayter and Shelly Katzer, the Mountlake Terrace Off-Leash Dog Park is located just northeast of the MLT Recreation Pavilion. Offering just under an acre of space in the shaded woods of Terrace Creek Park, this fenced area is a haven for dogs! “We love to take our dog Dash for walks and let him run off leash in the park!” shares Shelly Katzer. Dogs can run and play within the double-gate system, and owners are welcome to relax on benches (or run and play, too!). Learn more about the park and read rules for visiting the dog park here. While this park technically isn’t in Mountlake Terrace, it is in the neighboring city of Edmonds (498 Admiral Way Edmonds WA 98020) and well worth the short 10-20 minute drive from MLT. As part of the larger Marina Beach Park on the Edmonds waterfront, this park offers a long list of amenities in addition to the off-leash area. A loop trail, playground, restroom, picnic tables, barbecue area, and much more set the scene. As for the dog park portion, furry friends can frolic in the sand, splash in the surf, and stretch their legs as they meet other dogs in the cool ocean breeze. 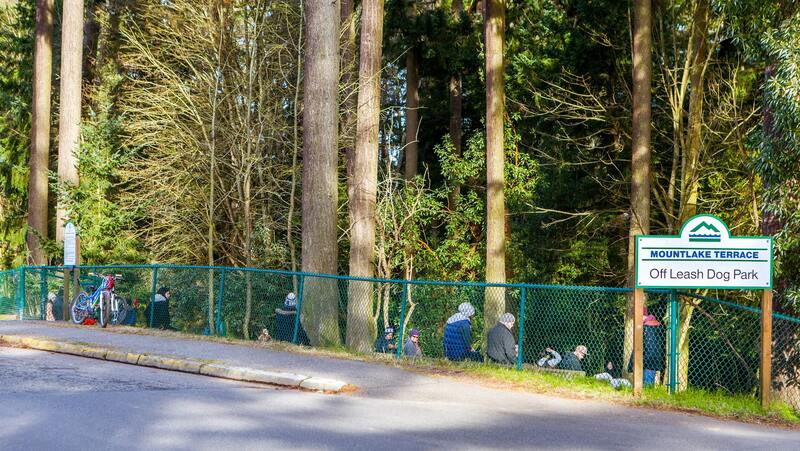 Click here to learn more about this Edmonds off-leash area. 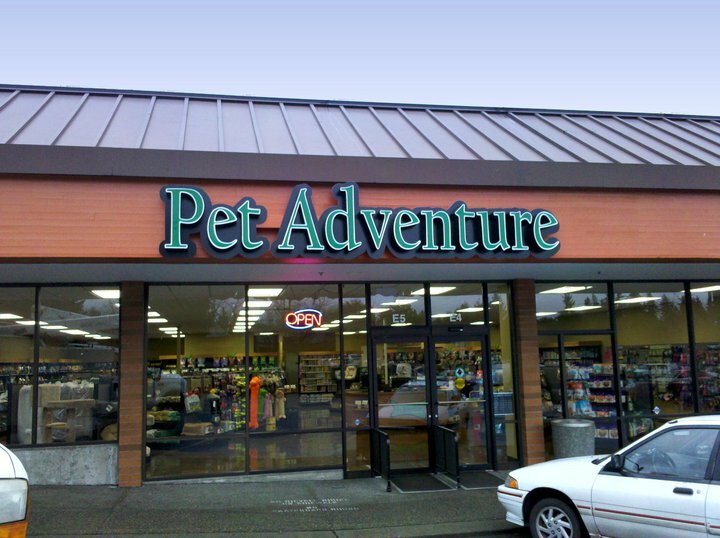 Located in the Cedar Plaza Shopping Center (22803 44th Ave. West Suite E-5 Mountlake Terrace, WA 98043), Pet Adventure Shop is a must-visit destination for local pet owners! Established in 2010 and owned and operated by locals, Pet Adventure Shop stocks its shelves with a huge range of food and supplies. Even the pickiest of pets are bound to find something delicious here—check out a list of the brands of cat and dog foods Pet Adventure Shop carries here. In addition to supplies for cats and dogs, they also carry an eclectic variety of products for other animals including hamsters, birds, bunnies, fish, chickens, and horses.